The Knights of Columbus is an international service organization of Catholic men dedicated to living the gospel with authenticity and gusto in order to keep the faith alive. Because of the Knights’ structure, our programs and resources are for apostolic service to our parish. Under the leadership of Parish pastors, the Knights does its best to make St. Stephens a holy parish and a blessing to the North Shore community. All men of St. Stephens are asked to join as we strive to be witnesses to Christian manliness. The Lions Gate Council 7095 was founded on April 20, 1978 representing the entire North Shore with just a handful of charter members. Now there are individual Councils in West Vancouver, Deep Cove, St. Edmund’s, and Holy Trinity Parishes. Prominent on the St. Stephen’s list of charter members are Father A. Corradin, Harold Stark, Terry Cardle, Erwin Hiffle, and Vern Robertson. What started in 1978 as a fledgling group has now grown to several hundred members on the North Shore and still growing! 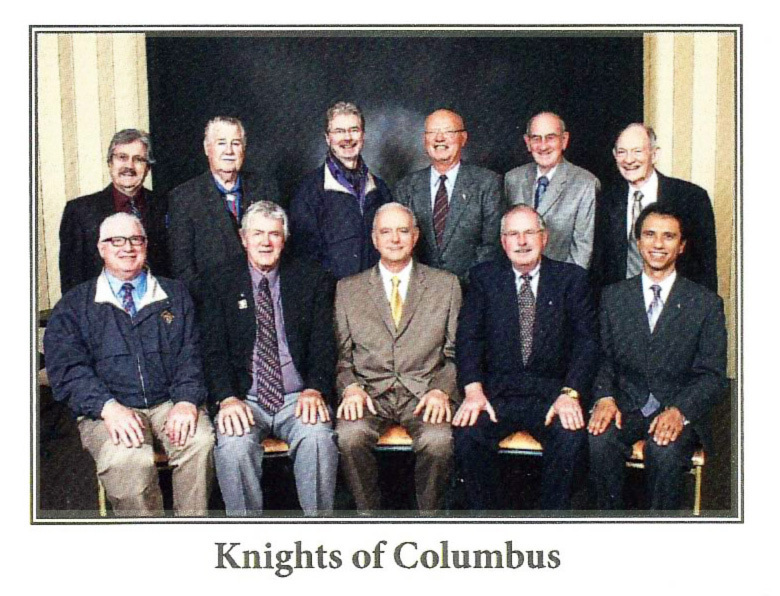 The Knights of Columbus are dedicated to building a better world one council at a time. They are dedicated to defending the Catholic faith, supporting the Holy Father and the clergy, and assisting the families of the parish and the wider community. Their basic principles are CHARITY . UNITY . FRATERNITY and PATRIOTISM. Council 7095 has an impressive record of raising money for community service including charity, scholarships, and parish projects. Above all Knights work together to strengthen families – the very heart of the Roman Catholic Church. Council 7095 welcomes Catholic men who share the ideals of the Knights. All Catholic males are eligible to become members. For more information contact Marius 604-980-1700.